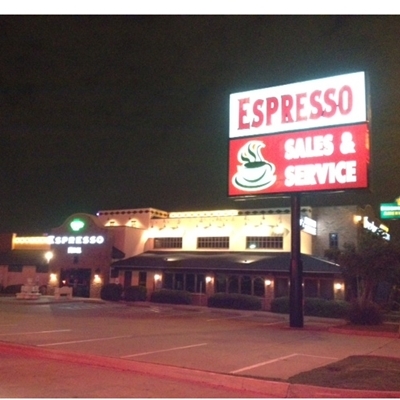 Espresso Machines Repair Dallas | Saeco & Delonghi Coffee Machine Repairs in New York City (NY) & Dallas, Texas (TX) - Espresso RMI, Inc.
1. IMPORTANT: Insure your shipment for the value of your coffee and/or equipment with your freight carrier. This includes packing your machine and/or equipment in accordance with insurance requirements for carriers damage coverage policy. 2. Please double box your machine and/or equipment. 3. Include all accessories for testing of machine and/or equipment. 4. Include your contact information in box (name, phone number, address). 5. Include a brief description of the problem you are having with your machine and/or equipment. 6. There will be an $85 diagnostic charge. Please include a check or money order, or we will call you for a credit card authorization for the diagnostic charge. *** Customer is always financially responsible for paying shipping charges (sending and receiving) of the espresso machine and/or equipment. Once we have received the machine and/or equipment and the $85 diagnostic fee, the service technician will proceed to break your espresso machine and/or equipment down to the point of failure and test all components. The diagnostic process can take up to 2 hours. Machines and/or equipment that are hand-carried in for service will be charged $85.00 when you arrive. Once your espresso machine and/or equipment have been completely diagnosed, the technician will call you with a TOTAL estimate to complete your service repair. This estimate is in addition to the diagnostic fee. The new estimate will include any additional parts and/or labor necessary to complete the balance of service to your machine and/or equipment, and includes the reassembling of the machine itself. All service repairs performed will have a 30 day parts and labor warranty. However, the customer is responsible for all transportation expenses for their equipment, including insurance, ingoing and outgoing to the Espresso RMI. Service Center. We recommended that you do not exceed a repair service cost in excess of 50% of the original purchased price of your machine and/or equipment. Shop repair labor rate is $89.00 per hour. 2)	A credit of $49.00 towards any similar USED espresso machine, if one is available at our store.